Share the post "The Alligator and Three Wise Men strategies"
Many traders are known for their flaring tempers and enthusiasm, but few recognize the creativity that lies buried beneath the surface. Forex dealing advice and strategies when trading are a vital part of achieving success. This is where the creative side of those who tend to be analytical thinkers gets a chance to shine. The Three Wise Men and The Alligator strategy are prime examples of how creative traders can become adaptable in a bid to find an approach that works. The sleeping alligator can be found when the market is still and no trend is evident. The three lines bunch together. As the market begins to turn, the alligator becomes hungry and the divergent lines resemble the open mouth of the animal. An upward or downward trend is imminent, and traders keep a vigilant eye out to catch the trend. 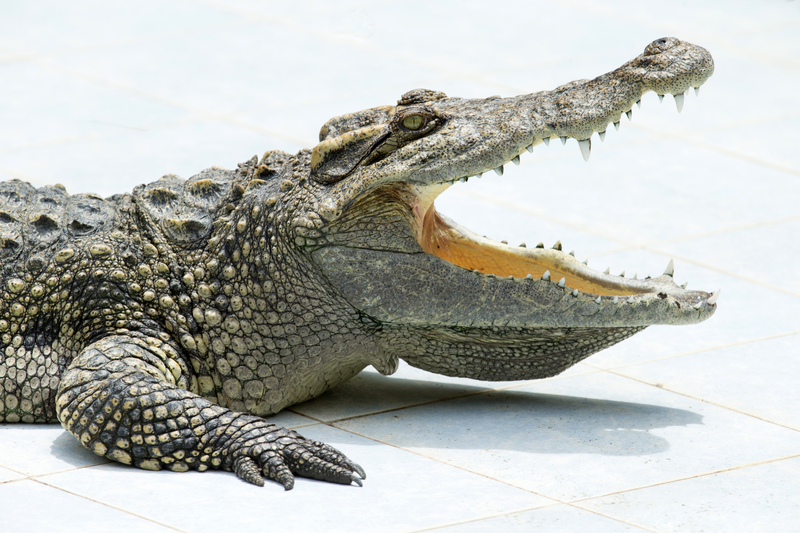 After it has been fed, the alligator once again closes its mouth as the market begins to quieten, and investors can choose to take a time out until the next trend comes calling. The first wise man is the divergent bar in the strategy. If you find the price lower than the alligator lines, it is time to set your position for a lengthy period. The low of the divergent bar should be lower than the previous bar and should close on the upper half of the bar. Buy stop has its place at the top of the bar, while stop loss is always placed at the bottom of the bar. When an opposing signal appears, it is time to take the profit. Commonly referred to as the awesome oscillator, this wise man is required to identify entry points. In an ideal scenario, the awesome oscillator follows behind the bullish divergent bar. The instance of three consecutive green bars on the awesome oscillator signifies that it is time to buy. Your stop should be placed at the bottom of the divergent bar and gradually trail upward from that point. Fractals, as this wise man is called, identify breakout points on previous lows and highs. According to Bill Williams, who founded the strategy in question, a fractal represents the end of what is known as an Elliott wave, while a breakthrough of each of the fractals indicates what is called a new impulsive wave. When making use of the strategy called the Profitunity signal, there are a few factors to take into consideration if you wish to embrace it successfully. The first step is to pay attention to where the first wise man has formed, below or above the lines of the alligator. Before entering the market, the bullish pattern must be visible. When you do enter the market, ensure that the second wise man indicated three consecutive green or red lines. The third wise man then becomes the center of attention. A fractal will form when two bars with lower minimums or higher maximums appear. Once the fractal is evident, place your stop-order after the high/low and then place your stop-loss at the highest maximum or lowest minimum. For the beginner, it may be a little confusing to unravel the mysteries of the trade environment and to understand the strategies explained to the fullest. However, there are many CFD brokers who will be able to assist you in grasping the situation. They are on hand to provide useful tips and tricks on how to trade effectively. Learning the basic fundamentals before diving head-first into trading will be useful going forward. The aim is to make money using strategies and skill, technical knowledge and a keen eye on current affairs. Slow and steady wins the race.